Brands have always competed for share of voice, constantly vying for people’s attention. Now, we live in unprecedentedly complex times and people now want more innovative and interesting ways to experience brands. Content creation is king and no longer the sole domain of brands and institutions – anyone can now create better and more engaging content. Which begs the question – if no one cares about what you’re saying or doing, what’s the point in having (and in some cases paying for) thousands or even millions of followers? 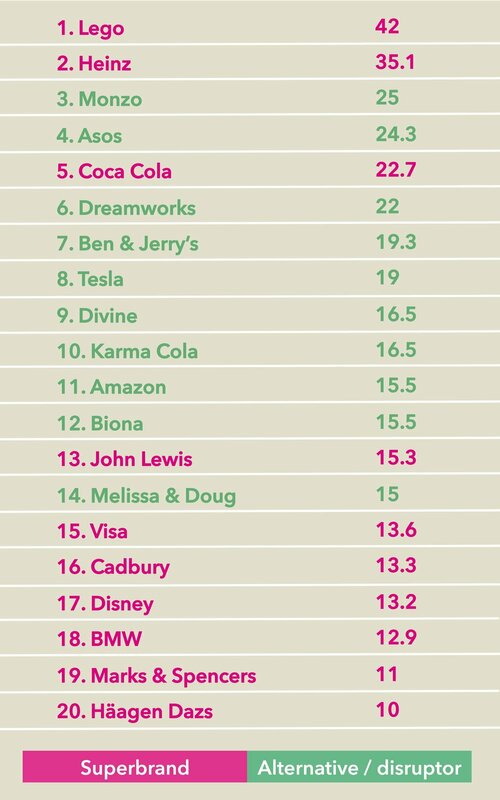 The Brægen 2019 State of Brands report takes a look at 20 consumer brands – ten of 2018s Superbrands and 10 alternative or disruptor brands in the same industries. It provides rigorous analysis of all their Tweets, posts and their wider communications and marketing strategies using the new Brægen Brand Conversation Index. Brand engagement is about so much more than likes, shares and followers on Twitter, Facebook and Instagram. Engagement is about captivating an audience and inspiring them to think, feel or do something. It can be about providing people with a platform to make or create something. In its simplest form, it’s about having a two-way conversation with an audience – online, in the real world or both. Taking back the word ‘engagement’ in a bold attempt to make it great again, Brægen have created a new index and measuring tool for brand engagement, the ‘Brand Conversation Index’, to measure what is real vs. faux engagement and tested it out on some of the world’s most well-known and ‘trusted’ brands. Turning ‘metrics’ on it’s head, it looks at how well brands are engaging with consumers, not whether consumers are engaging with brands by giving them a cursory ‘like’ or by sharing a post because they like the headline (but haven’t read the post or watched the video – you know who you are). It takes a look at what’s shaking the PR & Marketing industries and provides some basic recommendations for brands who want to start embracing two-way conversations, dialogic and truly effective engagement. On the whole, brands aren’t putting their 1000s and tens of thousands of followers (and in some cases way more) to good use. Rather than truly engaging them in conversation, they are generally pumping out promotional messages and broadcasting announcements. ‘Missing a trick’ is probably the most accurate summation overall. However, there is a glimmer of hope, a few shining stars that are showing us the way – showing us how its done. Yay! We are not calling for a revolution but for the digital PR & Marketing industry to start a conversation on how as a sector, we can meet consumer demand for higher levels of engagement from brands. Brægen’s second un-White Paper provides a way forward for brands that want to take on that challenge, starting with how they communicate across their social media channels to how they devise their marketing & PR strategies. With the astonishing speed that technology is advancing and the number of disruptors shaking up numerous industries and changing consumption habits, innovation in our industry is insignificant by comparison. This new and fast-changing landscape is creating demand for more emergence rather than control over messaging. The PR & Marketing industry not just missing an opportunity but ‘mis-stepping’ change by responding with light touch add-ons, faux listening and sticking with the devil-you-know. How can we better respond to changing habits and expectations and find a new way to measure engagement? Older PostWho would you be without your story?